We've been monitoring pharmacy "tweets" for some time on the micro-blogging site Twitter. It's fascinating to watch how people feel about their pharmacy experience in a real-time unedited format. In fact, the format is so unedited, we've removed the expletives from the tweets. 1. "The pharmacy line was longer than the post office. That is wrong." This is probably the most common theme we see. While drive-thru windows help to alleviate some of the crowds during rush hour, the small size of pharmacy windows makes it difficult to physically fit more people behind the counter which leads us to the next tweet. 2. "Asking stupid ? 's will get you slapped. "Do u guys have a pharmacy?" Ugh!?! Read the sign outside. "XXXXX!!! PHARMACY!!!" 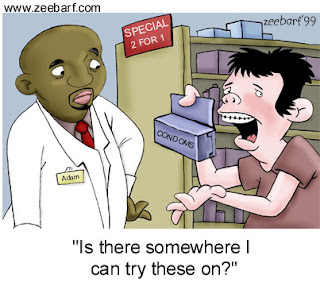 As many of us have experience, the pharmacy counter itself is often an afterthought to the rest of the store. Chances are you've had to work your way through the maze of aisles guessing on which corner the pharmacy counter is located at. In addition to the difficulty experienced finding the pharmacy counter itself, this tweet highlights the arrogant attitudes we see when speaking with transfer customers on the phone. This is a common theme in healthcare since patients have little choice but to purchase their medications every month. Customers feel as though they are taken for granted and this tweet highlights why that might be the case. 3. "Was just attacked by a crackhead in a XXXXX pharmacy and yes the police got involved." Unfortunately in today's society, pharmacies have become focal points for trouble. With large inventories of expensive, addictive drugs, there's no telling what can happen while waiting for your prescriptions. While many pharmacies take safety into consideration by providing on-site security, the lure of medications and sadly the addiction which causes it can create an unsafe environment when shopping. To follow @pharmacywatcher, click here. Just a small disclaimer, the content here is unedited and raw. If you are offended by offensive language, etc., we recommend you not follow this link. For a more "sanitary experience" you can also follow our official Twitter feeds at @healthwarehouse and @hw_deals (for specials). We are also active on Facebook at http://facebook.com/healthwarehouse.